The only thing I really drink is water. Therefore I pay a lot of attention to the taste of my water and the mineral content. I pay particular attention to my mineral consumption when I am swinging on a more keto primal diet because when you’re on keto you need to make sure you’re getting sufficient levels of trace minerals like potassium, magnesium and sodium. So I’ve been using concentrace minerals in my Nalgene bottles with a pinch of Himalayan salt to make sure I’m getting all I need. It makes the water taste great and it ensures you’re getting all the minerals you may be missing from other areas of your diet. 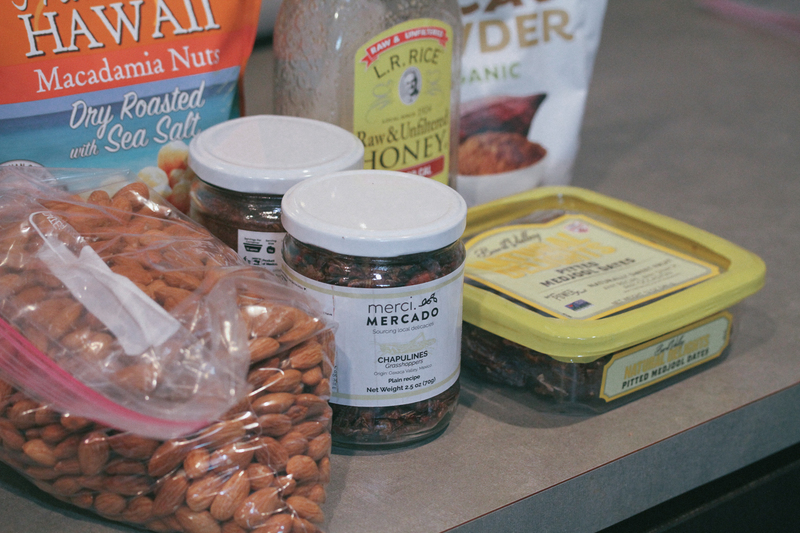 Resistant starch plays a pretty big role in maintaining and building your gut health. Think of it like food for your gut bacteria. If you’re taking or eating probiotics (which you should) and not giving the bacteria sufficient food to eat then you’re really just wasting the probiotics. After doing a bunch of reading here I determined that it’s best to periodically work in potato starch in my diet as a good form of resistant starch. You should start out slow if you’re not used to it so that you don’t get stomach cramps or bloating. Working up to 4Tbsp is a good goal to reach for. I just mix it with tap water and drink it as fast as possible. You can mix it with a splash of vanilla extract and stevia to make it more palatable – and it sorta tastes like horchata that way too! I rarely get hungry in between my two meals from lunch to dinner but if I do get hungry I like reaching for a jar of coconut butter. You can buy this one or make a homemade one like I’ve written about here. But these do a really good job at curbing hunger by giving you a nice dose of saturated fat. I also like this brand if the budget affords it. You probably see this all over the place now so maybe it’s not so weird if you see me do it. Now I don’t do this all the time but I do work it into my diet occasionally if I’m needing that extra boost of energy at work from working out too hard or not getting enough sleep. I use about 2Tbsp of Kerrygold salted butter (I like salt ok), collagen and a splash of mct oil then I blend it together with this. This really isn’t weird, it’s basically a latte where you get to control the quantity and quality of the fat and the quality of the coffee. I’d rather have a bulletproof coffee anytime rather than a latte from Starbucks – gross. I’ve written about my love for insects many times on this blog. 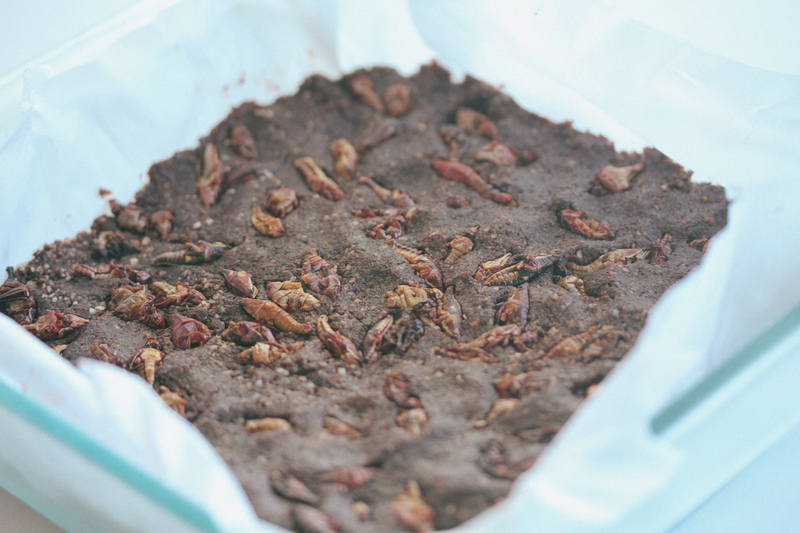 I’ve even put together this recipe recently that uses grasshoppers. But this concept is genuinely weird to people I know but man do I love Exo cricket protein bars. 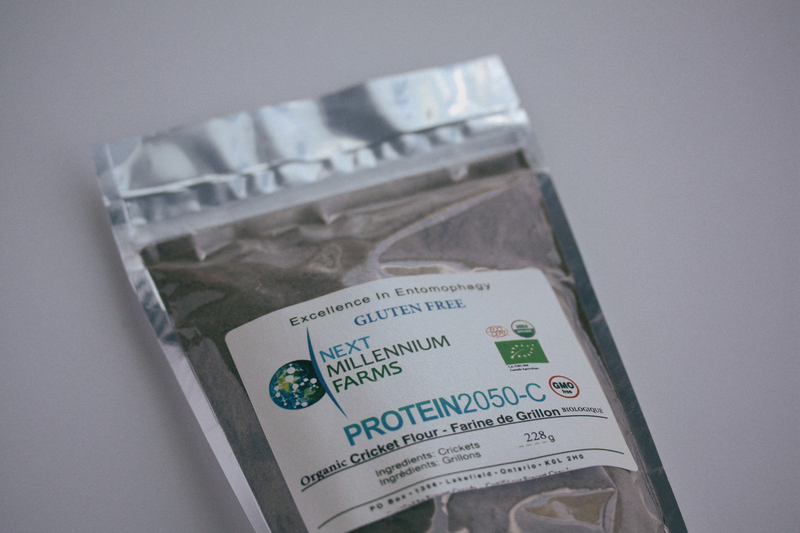 Crickets are such a good source of protein that contain all the vitamins, minerals and nutrients that we need – and – they taste great. Pick some up and try for yourself. We have these in every restroom in our house and every time we have guests over they think we are just so weird. Then I tell them to try pooping with it and then they look at me even weirder. But man these are great. The only way you’ll know is if you try one ourself yourself. Go ahead and do it. They help you go quicker and more efficiently and they are good for your health. Every home should be using these and I’ve been half tempted to start using them at work too. This is something I adopted early on when I first went primal and I literally donated all my other shoes. I only wear Vivobarefoot. Allowing your feet to spread naturally and feel the ground has cured my plantar fasciitis. I literally have no pain in my feet at all. When I first started working and wearing dress shoes all day my feet and arches would hurt so bad. I tried everything and nothing helped until I got Vivobarefoot shoes. I wear these to work so they’re dressy but they’re flat and allow my feet to feel the ground. Then I wear more casual ones when I’m not at work. I get weird looks sometimes sure because they don’t look like any other shoes but my feet feel amazing and I wouldn’t trade that for something that looks cooler but kills my feet. No thank you. I really loved canned fish and shellfish. It’s so easy to eat, tastes great and fills you up. Two particular ones I like are sardines and oysters. People give me weird looks all the time when I tell them I eat these and if they see me eating these they look at me even weirder – primarily because they smell terrible. But then I tell them they just need to try them. They’re not as bad as they smell. Not only do they taste great but they are so good for you. Sardines have tons of calcium, which is sometimes hard to pick up on a Paleo diet and oysters have a ton of B vitamins and various other minerals. This is one of those things that people see in my house and they think I’ve gone off the deep end. But broccoli sprouts are so cheap and easy to make at your house it’s like a no brainer. I make these because they contain a bunch of anti cancer properties – much more than just whole broccoli. 1 pound of sprouts contains as much sulforaphane as 100 pounds of whole broccoli. Sulforaphane is the antioxidant that aids your body in fighting cancer. I use these seeds and these jars and you can follow this super easy guide to grow some yourself. I normally eat them straight out of the jar or on the side with my bacon and eggs. This is another one that people see me making in my house when we have guests and they are like what is that slime in that jar over there on the corner of your counter?! But making kombucha at home is much cheaper than buying the $6 bottles at the health food store. Not only is it cheaper but you have much more control on the second ferment with what you add. I love adding mixed berries, herbs and ginger. If you don’t have a scoby you can get this one and this jar and be on your way to making your own kombucha. 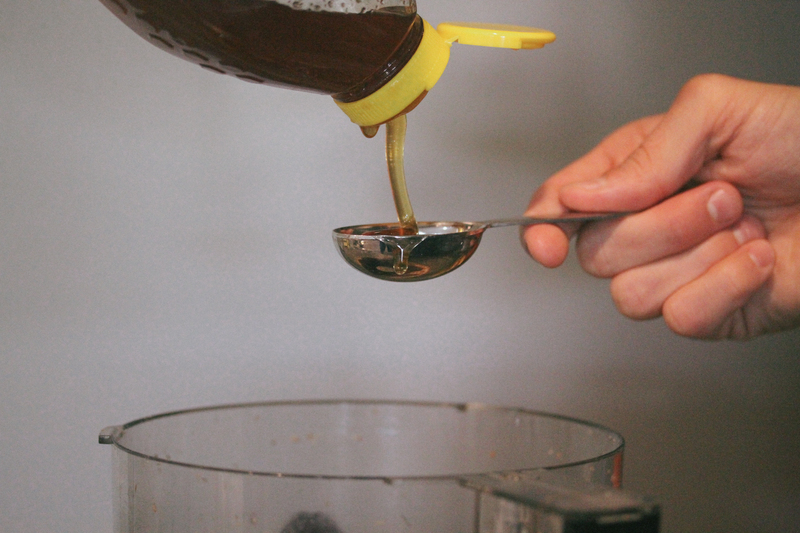 There are a ton of guides out there to making your own kombucha but here is an easy one to follow. It’s super easy, fun and great for your health. Try it today for yourself! That’s it folks! Thanks for reading and I hope by now that you too think I’m pretty weird with my primal ways, but now you at least know the reasoning behind all the weird primal things I do. 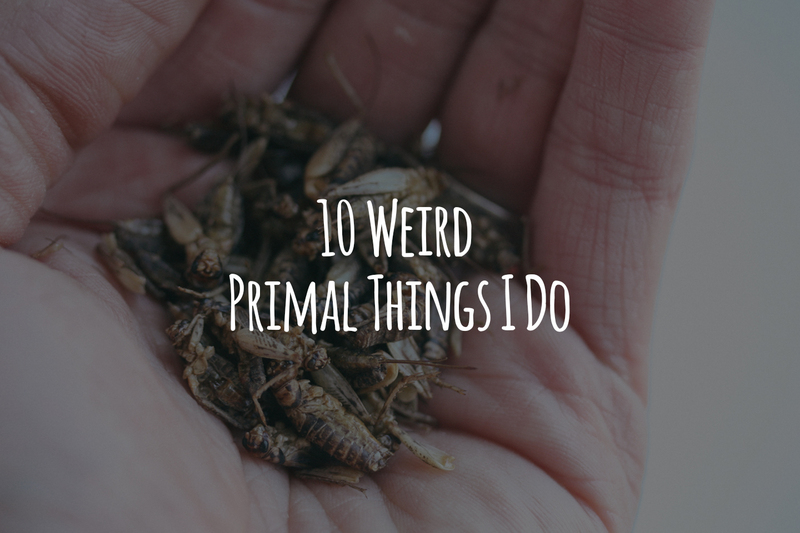 I encourage you to try out some of the weird things listed above and let me know which weird things you do too! I really do have a thing for insects. I’ve reviewed a handful of protein bars that are made with cricket flour, I’ve even made some cricket tacos, I’ve made some cricket noatmeal and I was even in an insect recipe competition with this spaghetti squash recipe. Everyone seems to be talking about crickets though, recently they’ve been in the news for how great they are for your gut health. So I started wondering why are crickets getting all the attention? Then I remembered that crickets have a sort of big brother: grasshoppers. 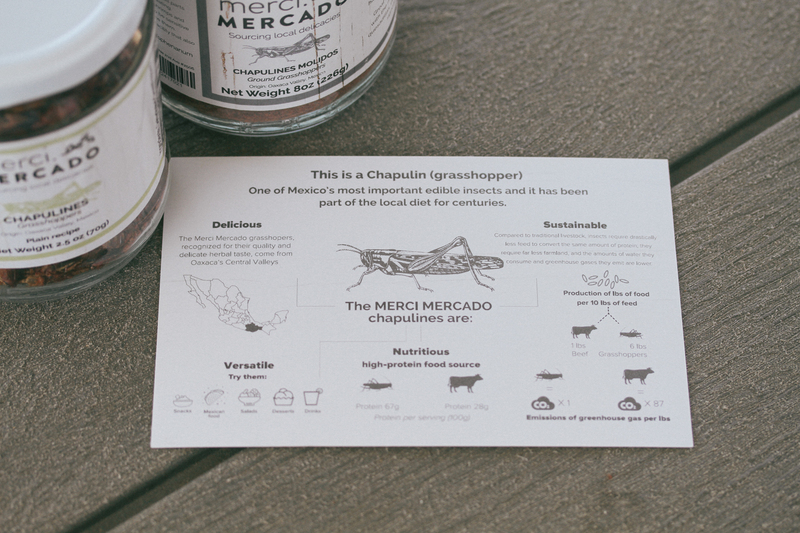 After doing some research I found out that grasshoppers are eaten all over the world like a bunch of other insects, but more specifically grasshoppers (chapulines) are very popular in Mexico. 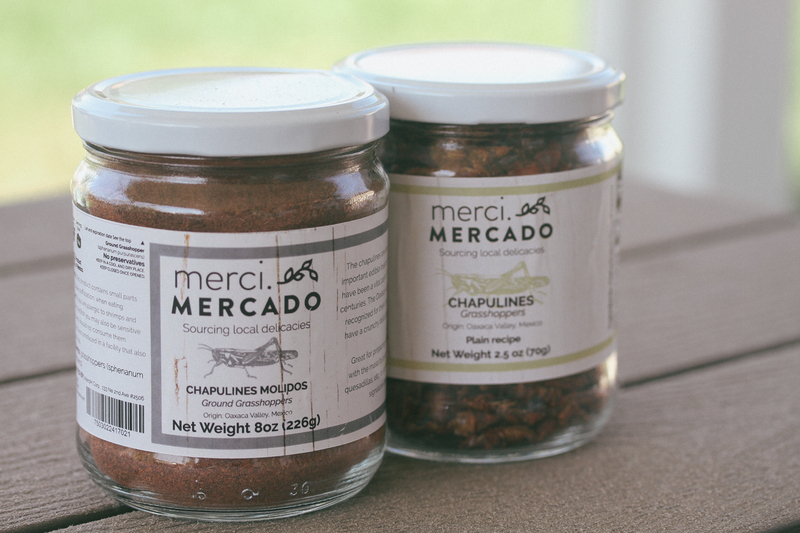 So I decided to reach out to one main supplier for grasshoppers in Mexico called Merci Mercado. They were more than willing to help me out with this recipe and sent me some ground grasshoppers and whole grasshoppers. Now I was thinking about what would be a good recipe to make with grasshoppers and what came to mind was how in the Bible, John the Baptist, was known for eating a diet of “locusts and honey”. My kids, and even myself, have always found this idea intriguing that this nomad dude lived off of such a strange diet. 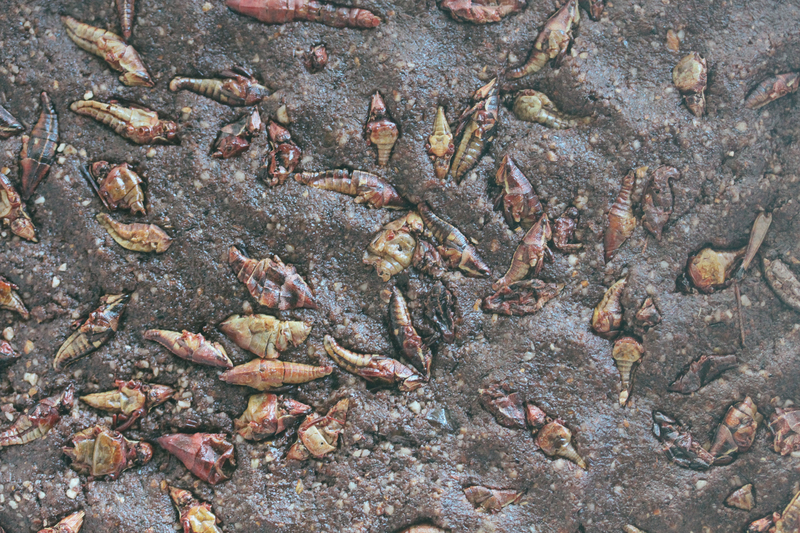 So I thought why not try to build off this idea and make some Locusts (Grasshopper) and Honey bars. Now I know I’m not using actual locusts for this recipe, but according to wikipedia “Locusts are certain species of short-horned grasshoppers in the family Acrididae that have a swarming phase”. So nevertheless, locusts can be considered a type of grasshopper, therefore these bars shall be called locusts and honey bars! 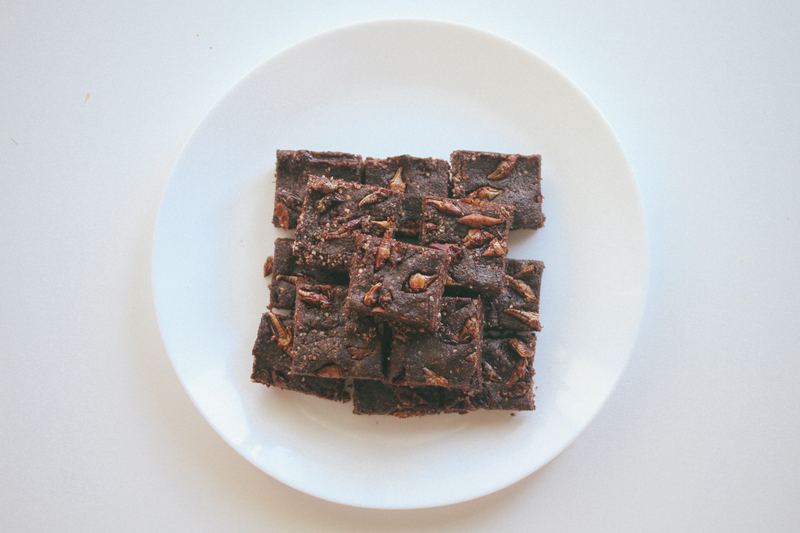 I looked around for a few recipes that were similar to Larabars and RXBARs and I came across this recipe. 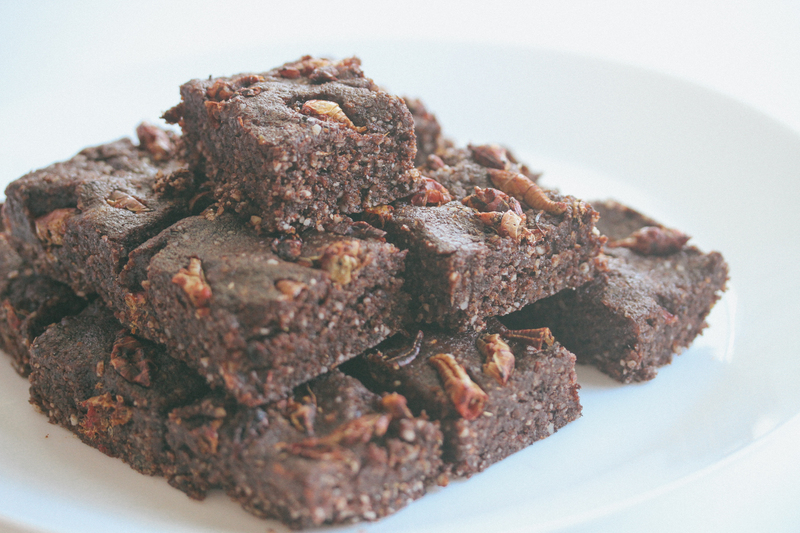 I used this recipe as a guide but made some tweaks with the nuts and protein source. 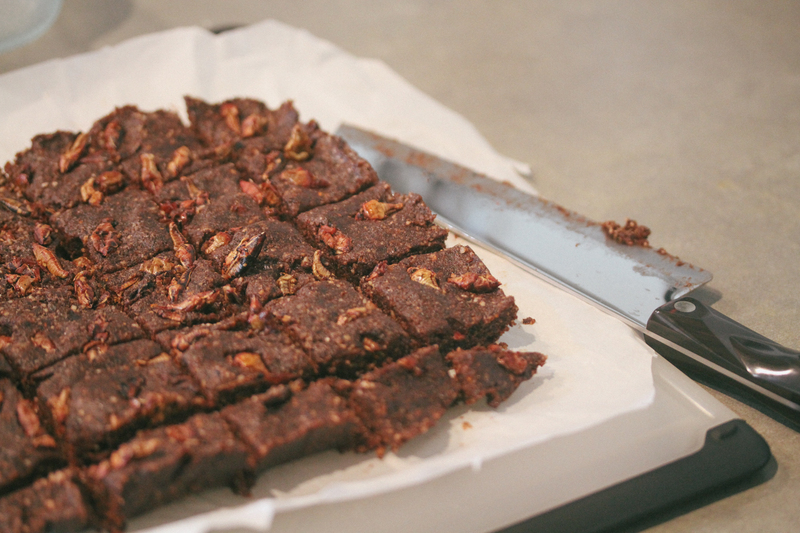 I believe this came out as a great protein bar and hopefully you’ll feel the same. My kids sure do have no problem eating them! Enjoy! 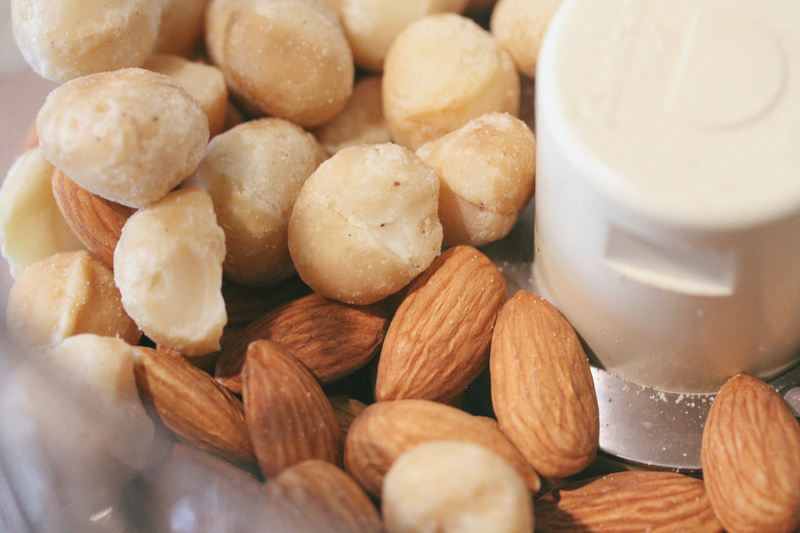 Pour the almonds and macadamia nuts in a food processor. Pulse until they’re ground up pretty good. 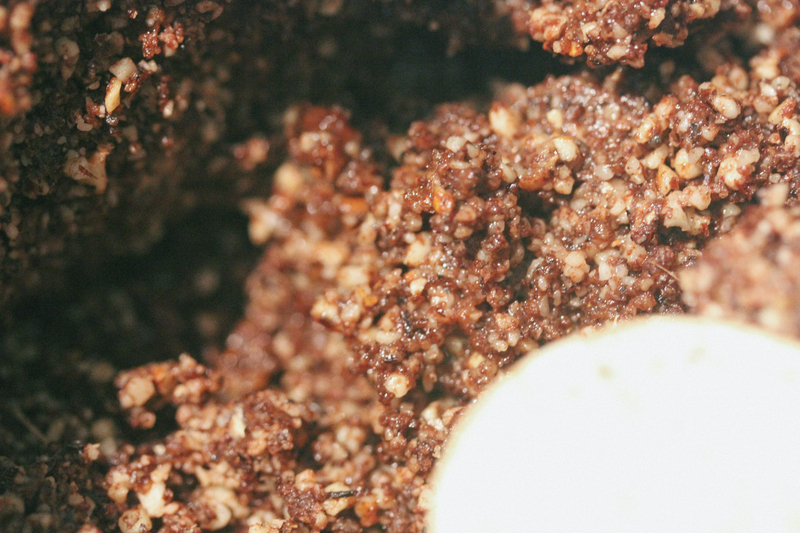 After the nuts are ground up, add the dates, honey, ground grasshopper and cacao powder. Pulse until they’re all mixed well together. Add in some tablespoons of water until the texture seems moist enough to press into a pyrex dish. After the texture is good line a square pyrex dish with parchment paper and press the mixture into the dish until distributed evenly. Then take the whole grasshoppers and evenly spread them out on top and slightly press them into the mixture. Refrigerate for about an hour then when you’re ready to eat take them out and cut into as many squares as you like. Keep refrigerated and enjoy! I guess I have a thing for crickets. 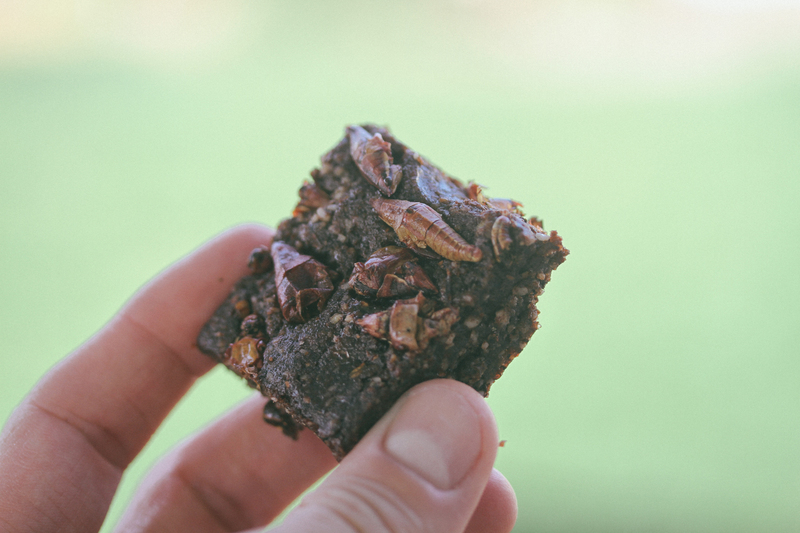 I’ve already written about how my favorite protein bar is cricket based protein. 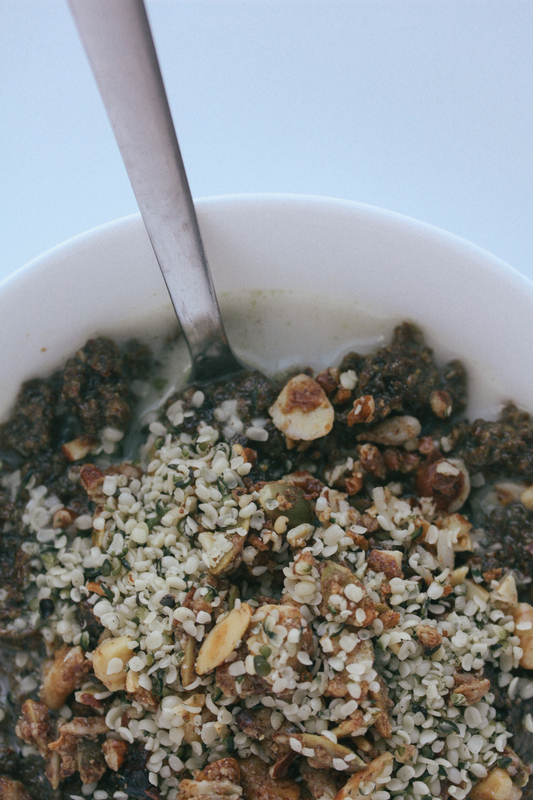 I’ve also experimented with cricket flour in this chia flax pudding recipe. Next up in my obsession is cricket tacos. I first read this story on The Verge of Next Millennium Farms (Now Entomo Farms), the supplier for Exo, and how there was a Mexican joint next to the factory that sells cricket tacos. When I read that article I knew I had to try it! Well I can’t drive there, since they’re in Canada, so I decided to try to make my own. 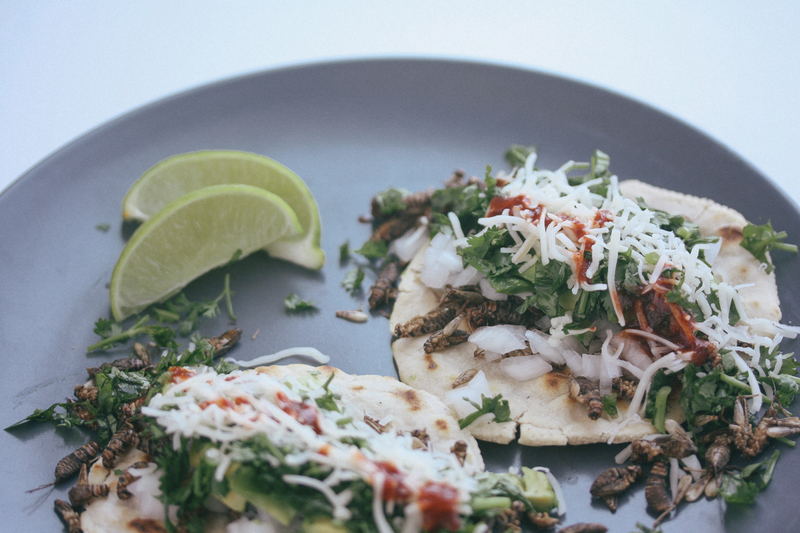 I contacted Entomo Farms and asked if they could send some crickets my way so I could take a stab at these tacos and they were more than willing. Cassava (also known as Yuca) is a root vegetable grown in over 90 countries. 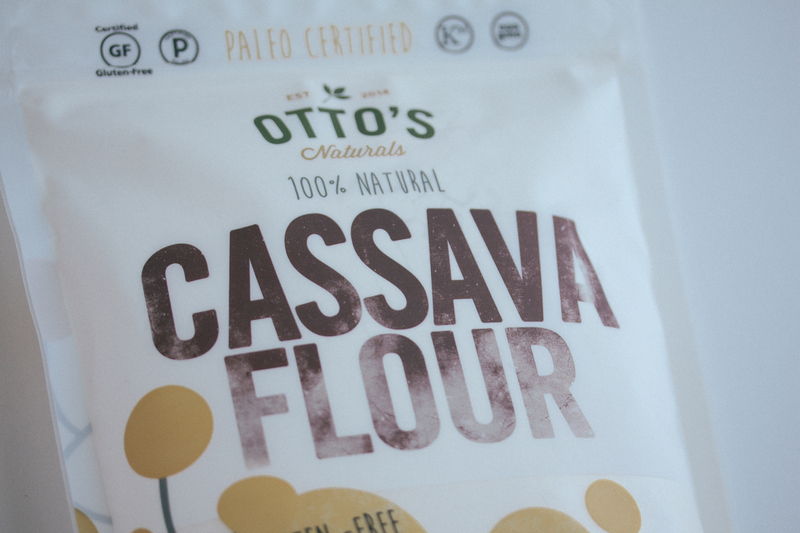 Cassava is a staple food for half a billion people across Africa, Asia, and Latin America. 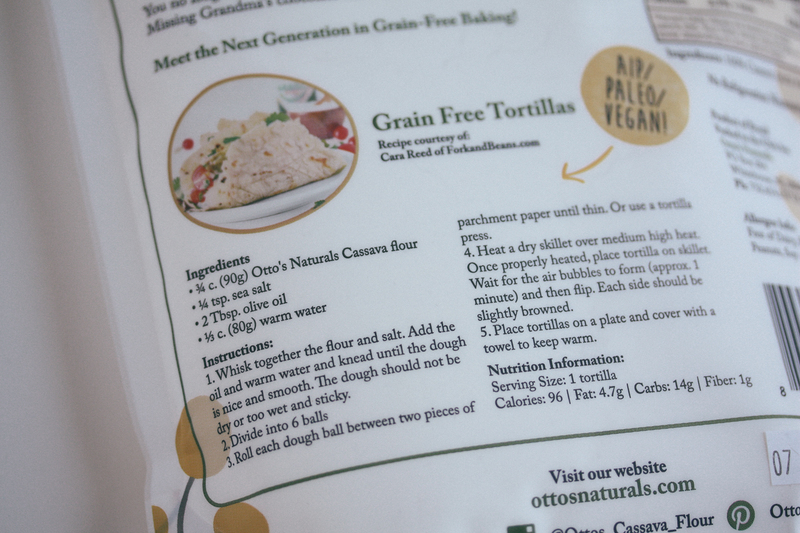 It is the perfect alternative to wheat flour when dried and ground using our proprietary method. 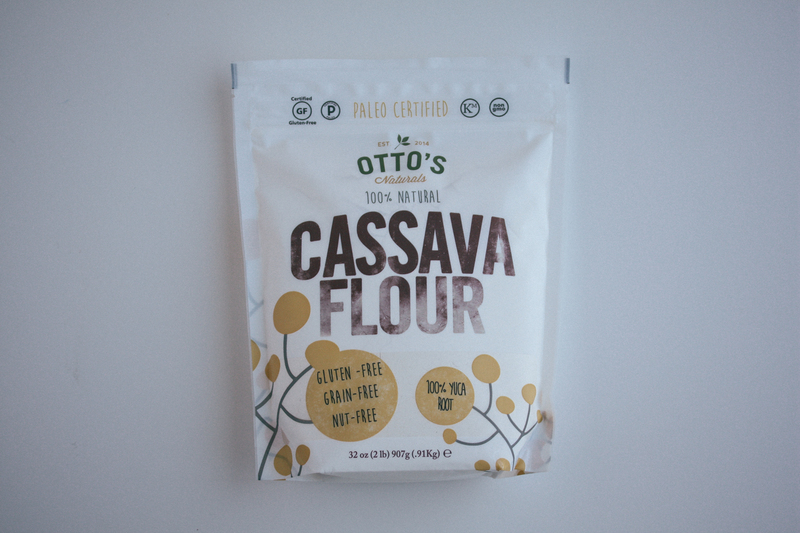 It is totally unique from the traditionally milled cassava flours on the market. Cricket tacos aren’t a new idea necessarily. 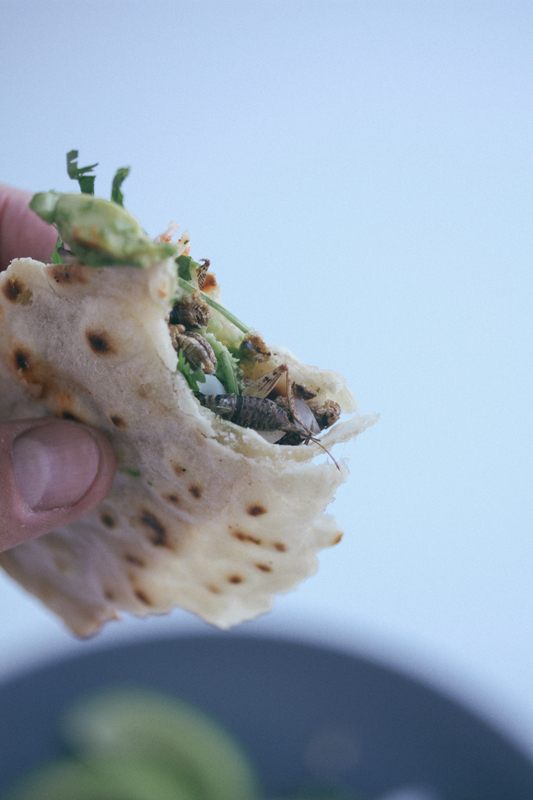 In Oaxaca, Mexico chapuline (grasshopper) tacos are a thing and eaten all the time. So this whole idea isn’t something too foreign or weird necessarily. It’s actually a really good protein alternative for tacos. 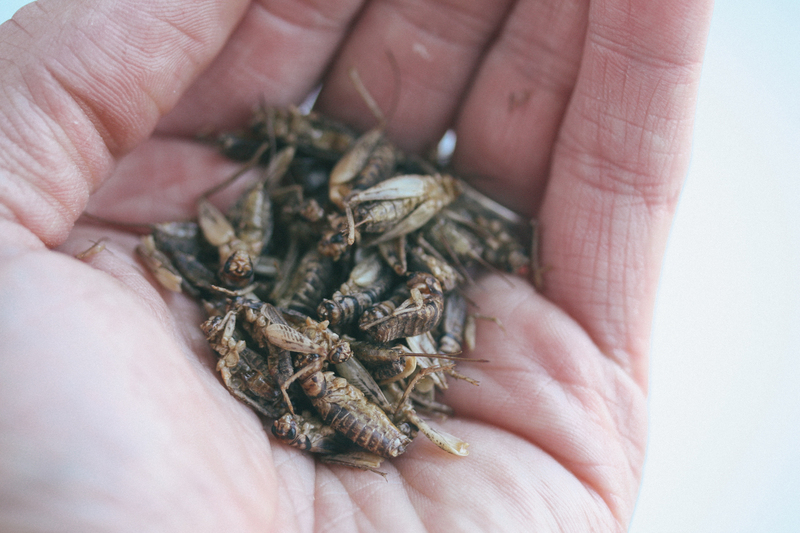 There’s almost twice as much protein in crickets than ground beef and crickets are packed with omega 3s. 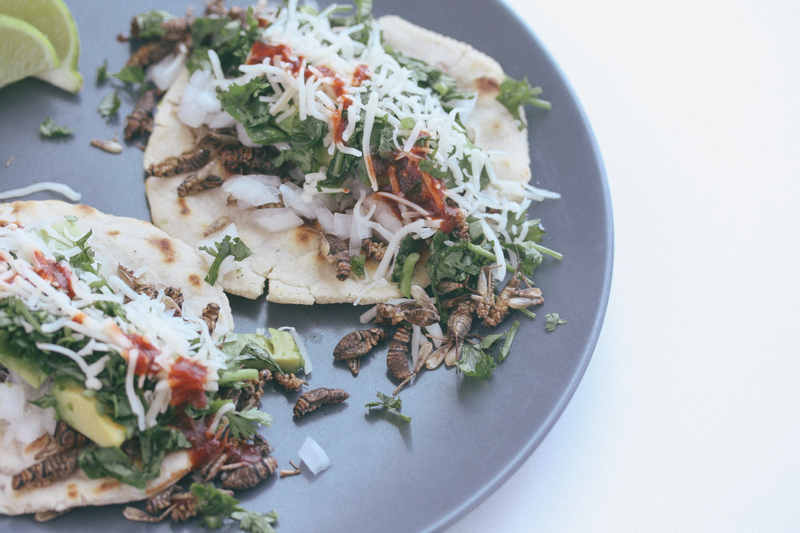 I’m surprised cricket tacos aren’t touted in every Paleo blog out there! 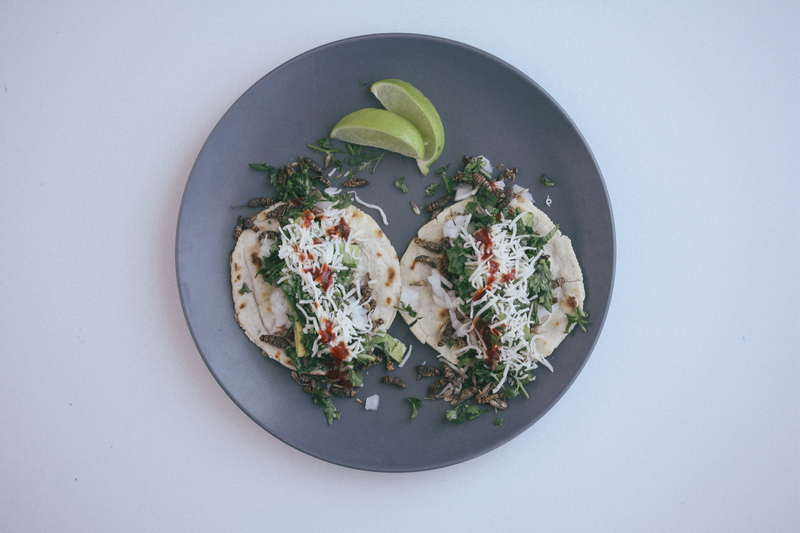 What I wanted to do with this recipe was make a super simple taco: Tortilla, protein, diced onions, avocado, cilantro and cheese if you do dairy. 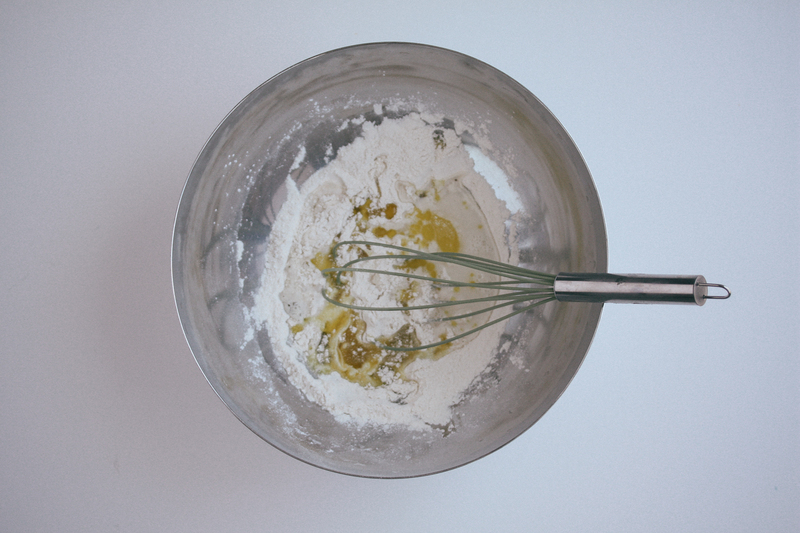 To make the tortilla, whisk together the flour and salt. 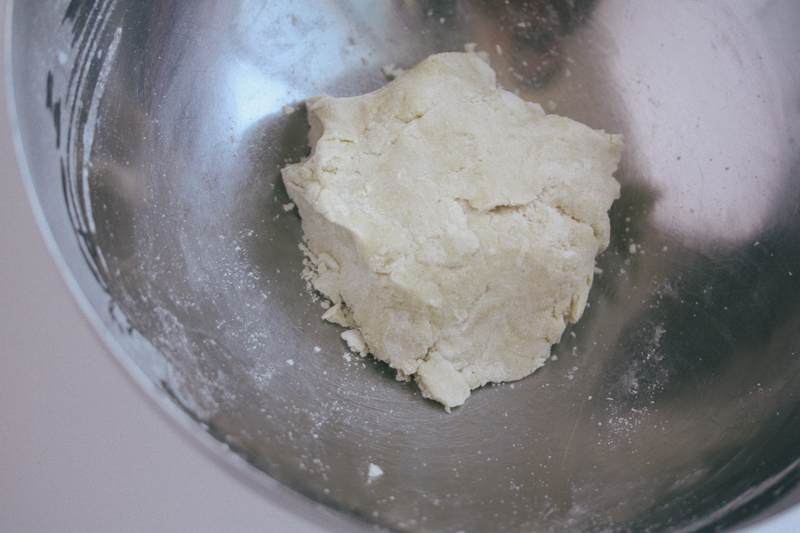 Then add the oil and warm water and knead dough until it’s smooth. Then roll into 6 balls. 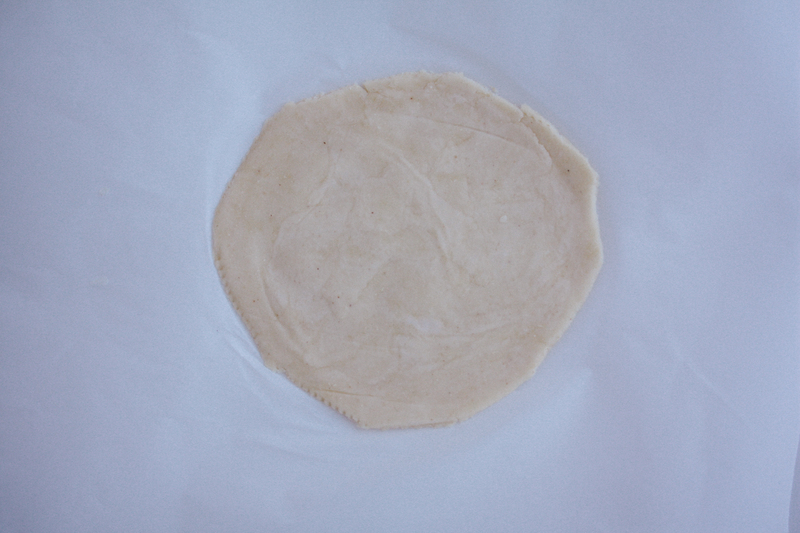 To make the tortilla flat use a tortilla press or press between two pieces of parchment paper. Try to get as thin as possible. Then heat a non-stick skillet over medium heat. 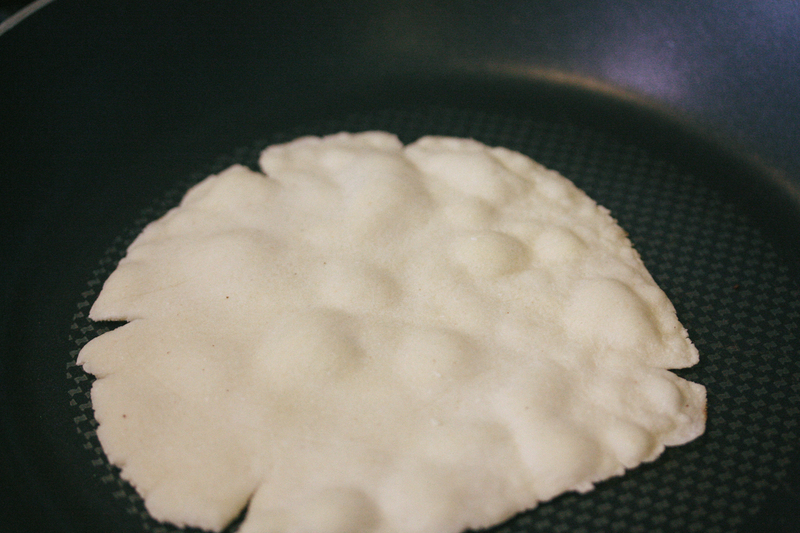 Once the skillet is warm, place the tortilla on the skillet and warm for about 1 minute until bubbles form then flip and cook for another minute. 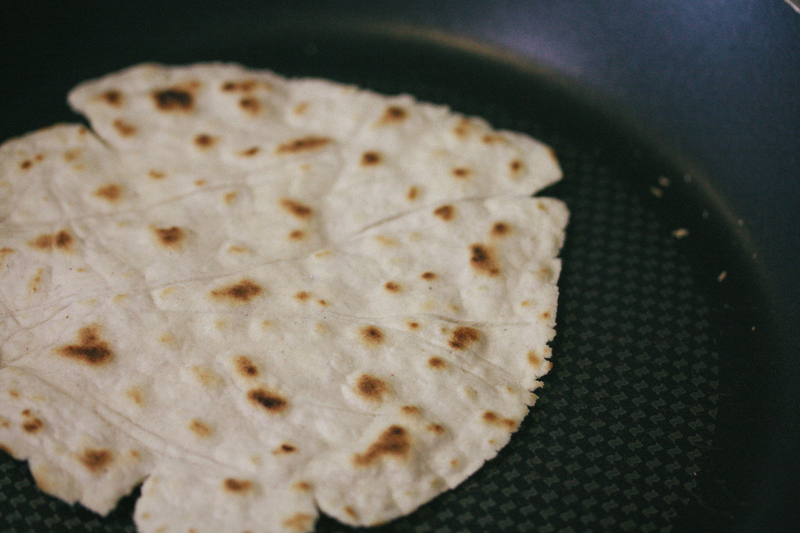 Now you’re tortillas are ready to go. 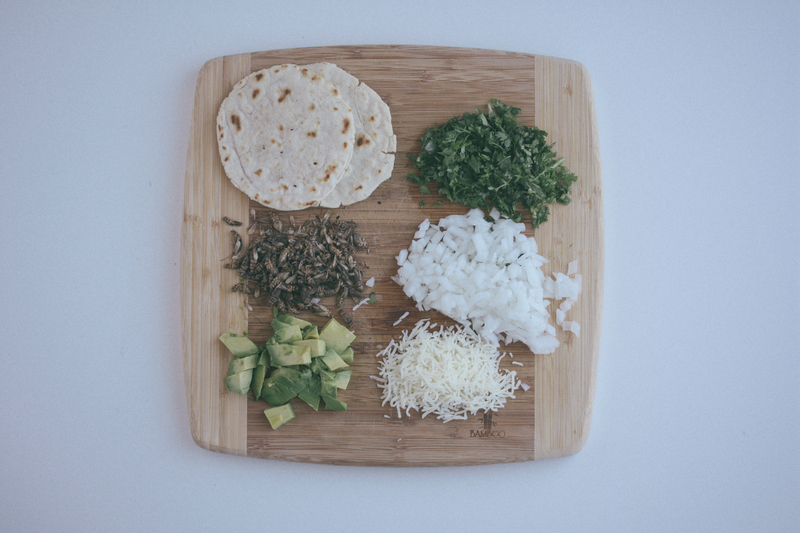 Once the tortillas are ready to go, now all you have to do is dice the onion and cilantro. Cut the avocado and bust out the queso fresco or Monterey Jack. 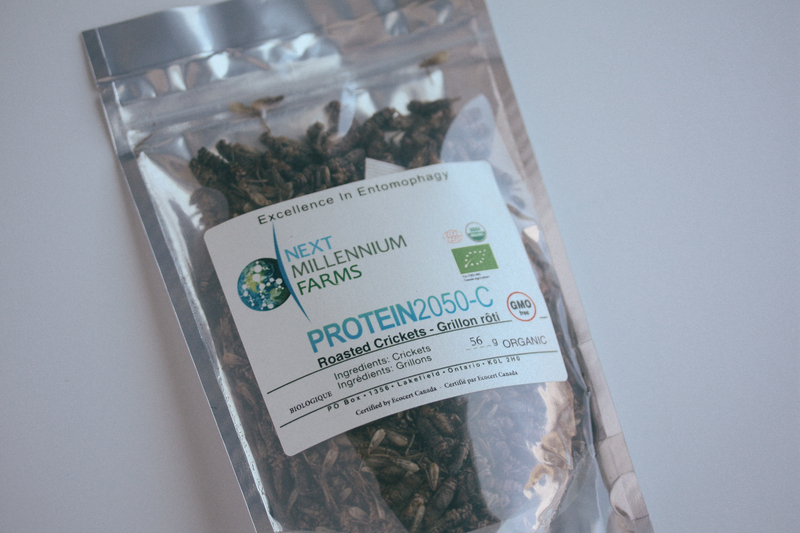 To prepare the crickets you can use them straight out of the Entomo Farm bag or lightly warm them on a skillet. They’re already roasted technically. I suggest trying them without seasoning first. Then next time you can experiment with a dusting of traditional taco style seasoning. I like The Domestic Man’s taco seasoning recipe here. Now assemble your tacos and enjoy! 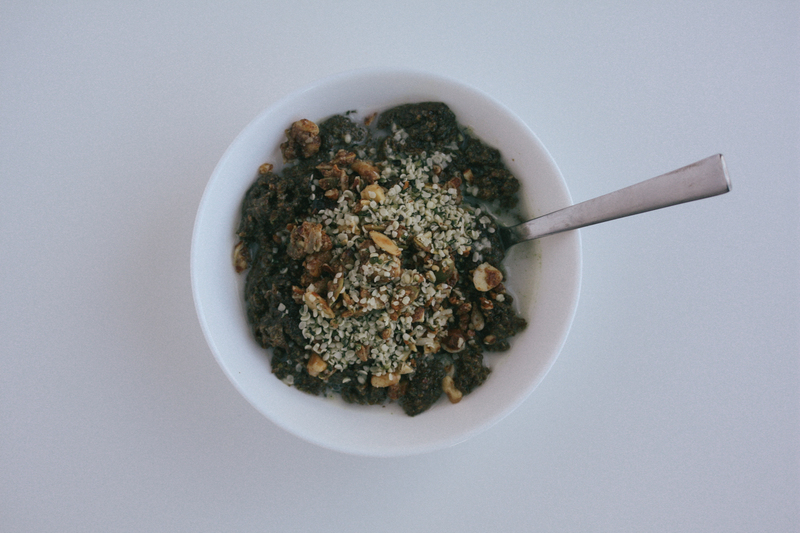 I’ve already hinted at this Cricket Noatmeal recipe on my post about quick on the go primal breakfast ideas. This recipe was inspired by the chia flax pudding by Kelly from Be Well by Kelly and was something I first saw on Mark’s Daily Apple. Since I first saw this recipe my wife and I have been making it constantly. It’s a great quick go to meal that is full of fat and protein. But most of all it’s a really easy way to get our daughter to eat more protein. 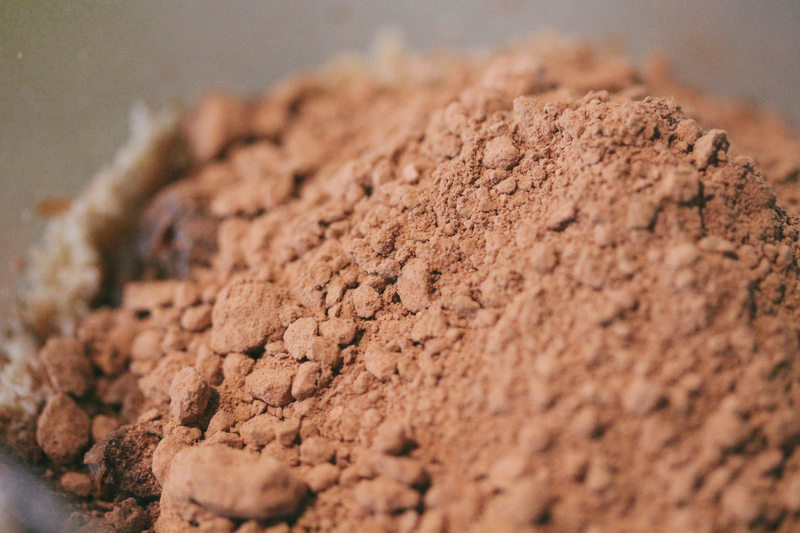 Protein in the form of whey that’s mixed into the pudding. As we’ve been feeding this to her and sending frozen batches of it with her when she stays with the grandparents, we’ve just been referring to it as no-oatmeal, hence the post title Noatmeal. 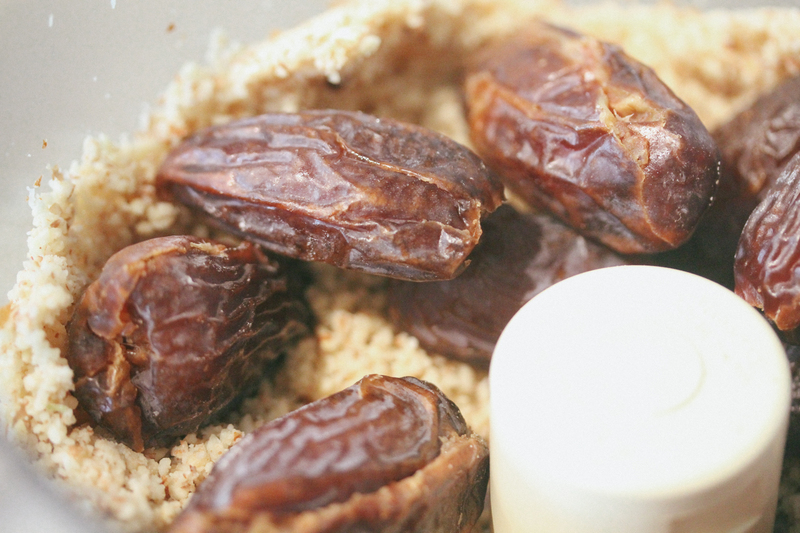 It’s just easier for people to understand instead of saying well I know it kinda looks like oatmeal but we don’t really eat oatmeal, and this pudding is more nutritious than oatmeal and has a much much lower glycemic load than oatmeal… you see the dilemma. It’s easier to just say this is Noatmeal, our daughter loves it, she’ll ask for more. 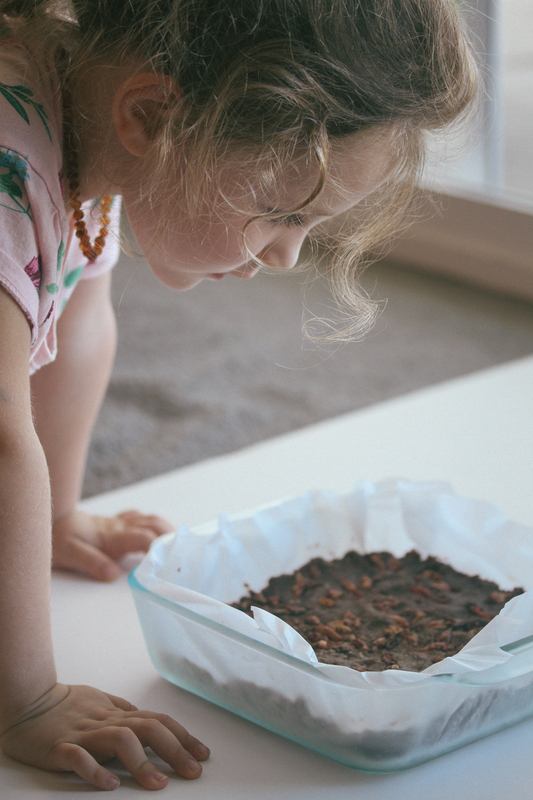 Now since this chia flax pudding is so loved by our daughter, we’ll be feeding it to her until she moves onto something else. 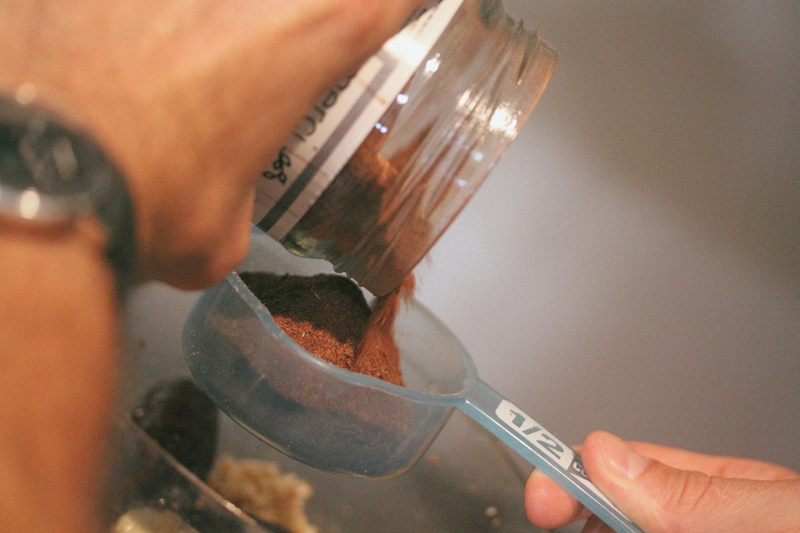 But for myself I decided to see if we could switch up the recipe a little bit by playing with the protein source. Like say… Crickets. I have nothing against whey. It works, tastes fine and has many additional benefits. So to change up the protein used in this recipe was basically just for fun. So I reached out to the people who provide the cricket flour to Exo for their protein bars and they were very generous and sent me a bunch of cricket flour and whole roasted crickets to experiment with. (More on the whole roasted crickets in a couple months). So all I had to do was replace the whey in the original recipe with the cricket flour and coconut sugar for sweetener. The only problem is if you try to match the amount of protein from the whey serving (20g) you’ll have to use about 5T of cricket flour. That’s almost too much cricket flour for the portion size so we ended up just using one serving of cricket flour (2T) which is about 8g of protein. Not bad for a quick breakfast that uses a protein that’s highly bio available, sustainable and high in omega 3s. So if you’re feeling adventurous head over to Entomo Farms and whip up a batch for yourself. It’ll definitely give you something to talk about with family around the Christmas dinner table. 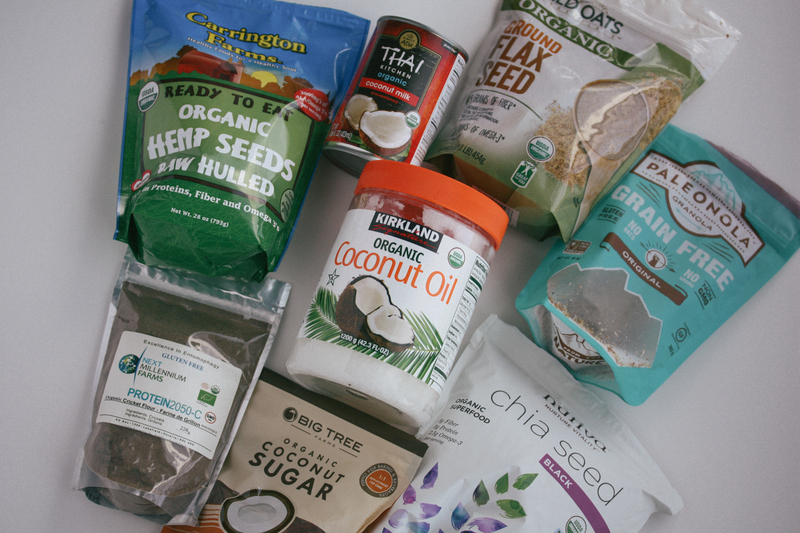 Heat the coconut oil, coconut milk, chia seeds and ground flax seed in a pan. 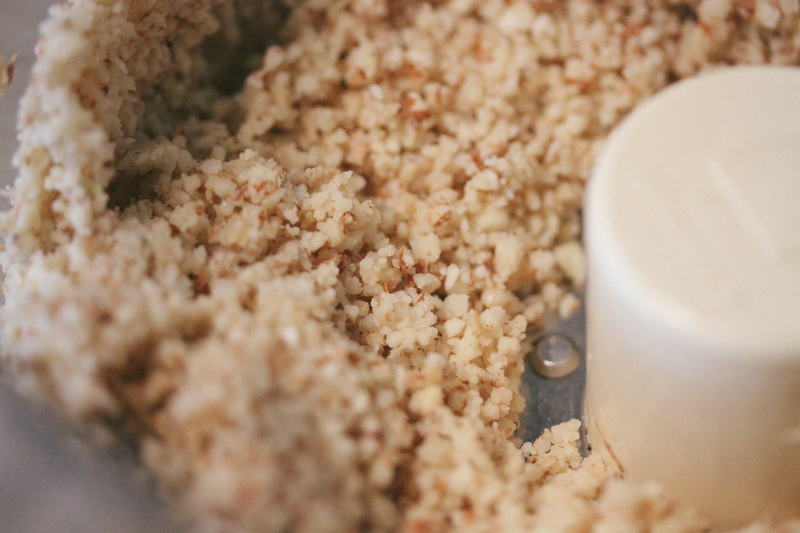 Continue stirring on medium/high for about 3 minutes until the texture becomes like oatmeal. Once the noatmeal is done, turn off the heat. Stir in the cricket flour, coconut palm sugar, cinnamon and numeric. Then put it all into a bowl and add your toppings and extra coconut milk to your preference. Enjoy!